A degree in education is often seen as synonymous with a career teaching a classroom full young people. While that’s certainly not a bad assumption—what other job offers you the chance to make a difference and have snow days?—not everyone in education ends up in front of a blackboard. Many professionals with degrees in education work behind the scenes, whether in school administration, curriculum design, or education policy. There also is an impressive array of alternatives to the traditional school environment, such as teaching online or teaching English abroad. In addition, as with most liberal arts fields, education majors will find their degrees to be flexible. The skills developed, such as the ability to analyze new information, to communicate effectively, and to organize and lead large groups, are both highly valued and highly transferrable. Education majors sometimes overlook career opportunities in the private sector and nonprofit organizations. To illustrate the many options for education majors, we’ve come up with several dozen alternatives to teaching. Each career listed has its pros and cons. Some may require additional training, and the pay varies widely between them. While the perks may not necessarily include snow days, they do have one thing in common with teaching in a classroom: these jobs all offer ample opportunity to make a difference. Perhaps the most obvious alternative is to work within the school system as part of its leadership. 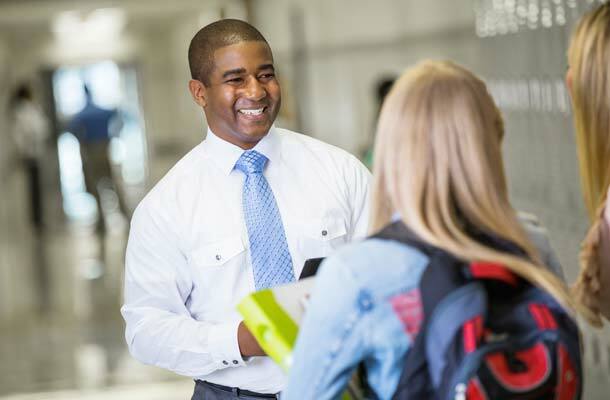 Administrators help set school policies and goals, represent the school in the community, manage staff, oversee disciplinary actions, allocate resources, and handle other day-to-day operations. While most administrators begin as teachers, top positions may require a master’s degree or advanced licensure. For those who prefer to create a teaching plan rather than teach it, curriculum design may be an excellent choice. Curriculum design professionals develop educational programs and instructional materials for schools, organizations and companies. They usually have a deep understanding of a particular subject, as well as extensive knowledge of teaching theory and technique. These professionals might create curricular materials for an education company, or they might even do so on their own for a curriculum-sharing website like TeachersPayTeachers. A related field is standardized testing, which involves creating, implementing, and assessing the results of examinations ranging from state achievement tests to college admission tests. Young people face challenges both inside and outside the classroom. They need guidance on personal issues and major life decisions, like picking a college or career. Counseling positions are ideal for education majors who value the interpersonal connection of working with students but prefer a one-on-one structure. An education degree is an excellent starting point for the following careers, although many do require additional training. Learning is not all work and no play. Young people discover a great deal about teamwork, communication, and responsibility through extracurricular and recreational activities. Jobs in this area are for those who prefer working with young people in a more relaxed environment but still want to have a big impact on their lives. Education is a hot topic of discussion in the United States today. How should children be taught? What should they be taught, and by whom? Education policymakers try to answer these questions. They develop and implement practices and policies that aim to better the education system. Their decisions are based on extensive education research, which tests policies and practices to assess their efficacy. Both policymakers and researchers are generally seasoned experts with teaching backgrounds. For education majors with a passion for writing, a career in writing or publishing could be perfect. In particular, the world of textbook publishing offers a wide array of opportunities, whether in editing or sales. There also are positions at media outlets for reporters who specialize in education topics, as well as an increasing number of successful education bloggers. Working with young children is both rewarding and challenging. Educators interested in early childhood development should consider the childcare field. And don’t write off the idea of nannying because you have a college degree! Families with higher incomes may offer handsome salaries nannies with a background in education. Education is a lifelong pursuit. While teaching at the college or university level requires an advanced degree, adult education typically does not. Although the pay may be low, adult educators generally find their careers to be extremely personally rewarding. In addition, life coaching is a rapidly growing field that may interest educators who enjoy helping motivate others. Those who enjoy teaching but are interested in an environment outside the traditional school system should consider the following alternatives. Museums and other local attractions host workshops, activities, and tours that are a perfect match for an education major’s skills. In addition, corporations sometimes bring in trainers to assist with employee orientation, to roll out new procedures, or to facilitate leadership workshops. On the other hand, nonprofits may employ teachers to educate communities about health topics. Education majors who like K-12 teaching and are simply looking to mix things up a bit have a number of viable options. These positions typically offer more independence than normal teaching positions, and some may even allow working from home. The field of education offers a diverse range of opportunities. Those who want to teach can. But if you don’t want to teach, don’t worry. Just think beyond the blackboard.